The 10th grade English course focuses on the complexities of the American Dream as seen through literature: What is the reality of the American Dream? Is it attainable? The 10th grade U.S. History course focuses on American identity: How have we progressed as Americans throughout history and is there an American identity? What is our ideal versus our reality? 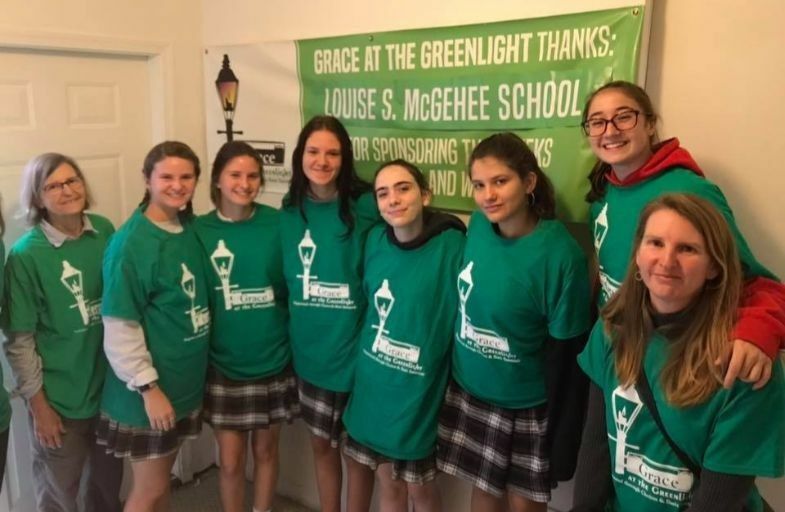 To help our sophomores reflect on these questions, we partner with Grace at the Green Light (GGL), a local nonprofit. GGL helps fulfill the basic needs of homeless people in our area, both physical needs through food and water, and emotional needs through companionship and belonging. Our girls interact with the GGL community by serving them breakfast on two different occasions throughout the year, brief experiences that break down barriers and challenge their assumptions. Throughout, students complete pertinent assignments in class that help them to connect the experience to their course essential questions.